This is a look I wore to the office last week when I was trying to dress for that tricky in-between season we call April. 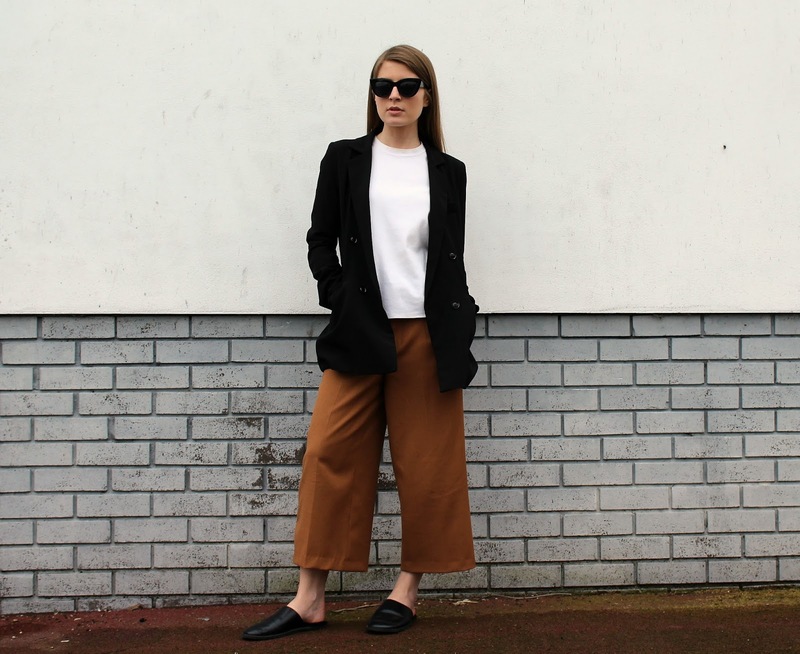 Relaxed tailoring is one of my go-to looks for work; it's smart but not overly so and comfy enough for a long day of meetings and sitting at my desk (especially with these glorified slipper shoes). Loving the slip ons - I've been on the hunt for the perfect pair!